Oh, this bookshelf. It has given me grief for almost three years, ever since we moved in. 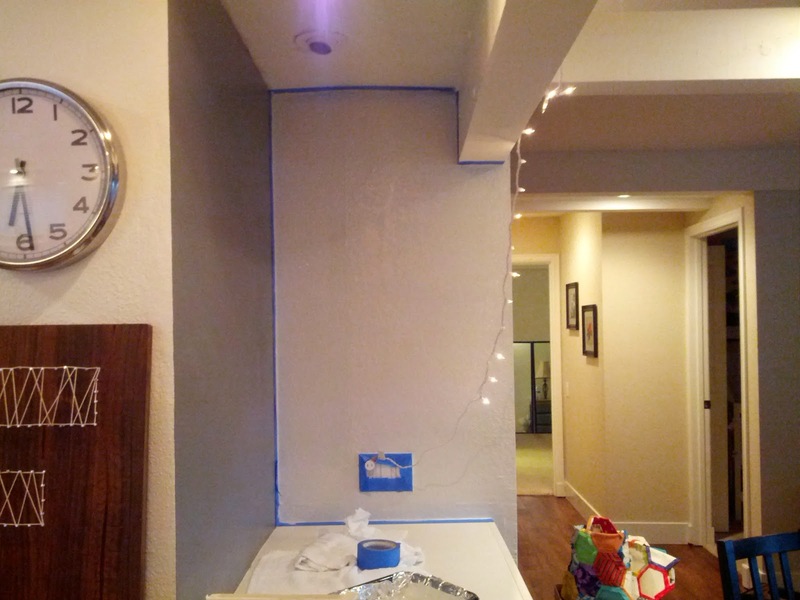 The biggest problem in the whole house, of course, was the kitchen, which we remodeled this summer, so now there are a handful of smaller projects I've been itching to fix. This bookshelf was a monstrosity from the seventies, and it was at the top of my list. The geometric division of the shelves made it really hard to store books efficiently (especially that stupid skinny part). 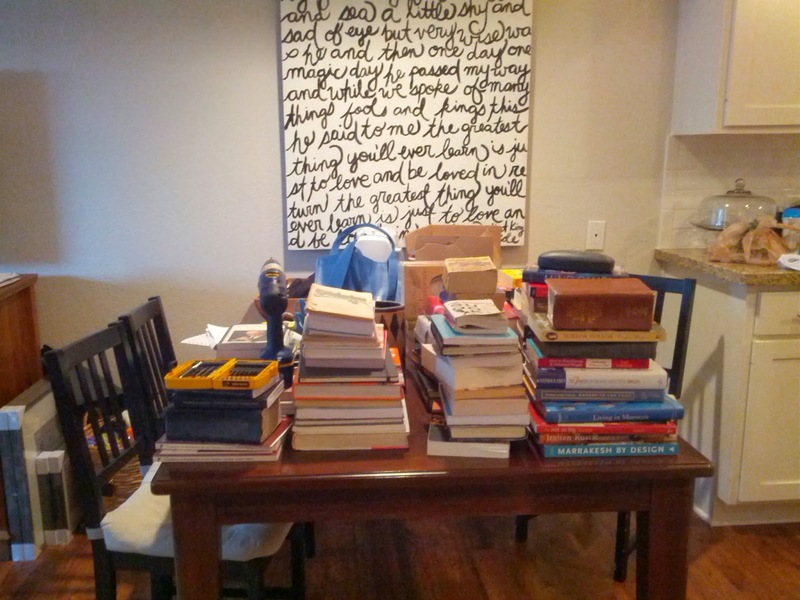 So I cleared all the books out, stacked them on my kitchen table, and set to work to remove it from the wall. I ran into a snag immediately (isn't that how these things go?). 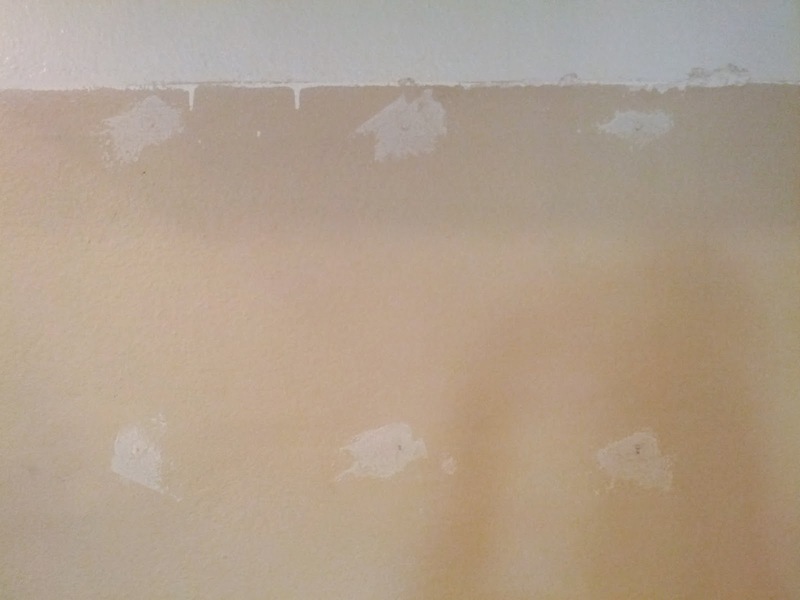 There were six screws, all different from each other, and they had been painted over at least twice, which means the grooves were totally filled and stuck. I tried drilling them out, I tried scraping at the paint to loosen them, and I even tried the rubber band trick to remove them. They were totally stripped and not going anywhere. I asked Conrad what he thought, and he suggested either cutting the tops off the screws (didn't know how to do it/didn't have the tools), or hammering them down and risk ruining the wall. 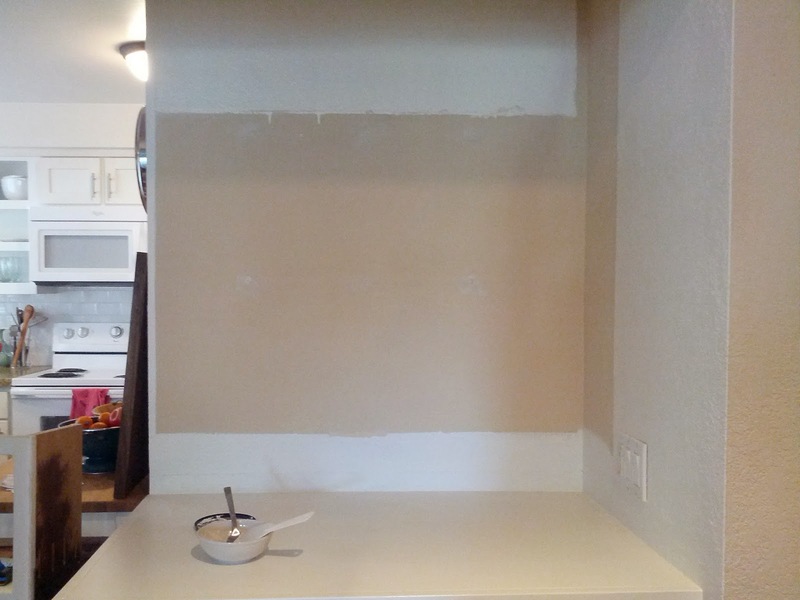 I was stumped for about 30 minutes, then figured that since all the stuff done to the house before we moved in was done really shotty, I could probably just pull the shelf right off the wall. And I did. 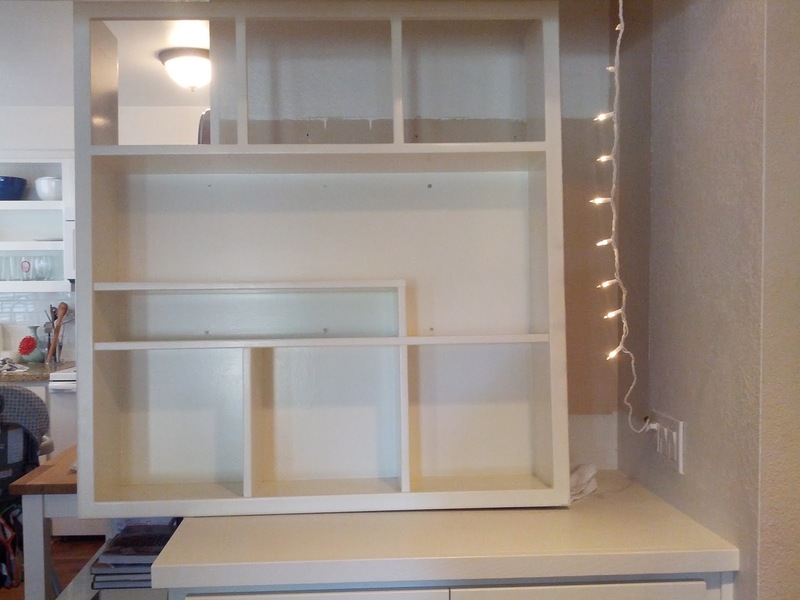 After that feat of strength, I discovered that the screws had left huge holes in the wall, and the bookshelf was almost just floating there that whole time. I patched the holes, and while it was drying, I dug through my stash of leftover paint from various projects. I went with a dark grey that I had gotten a sample of a while ago, and since I was just doing this one wall, the little sample ended up being the perfect amount. I wanted a little accent, but not too bright. 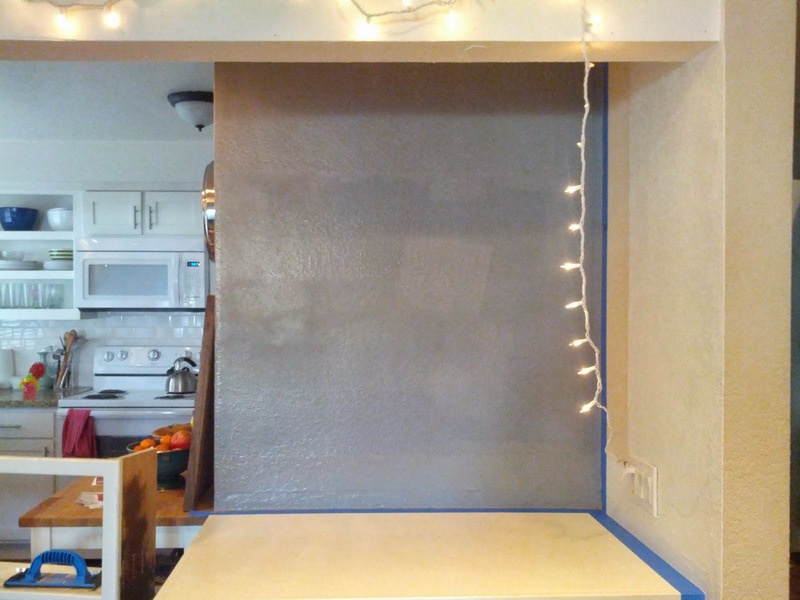 Then I painted the small adjacent wall with my leftover light grey. 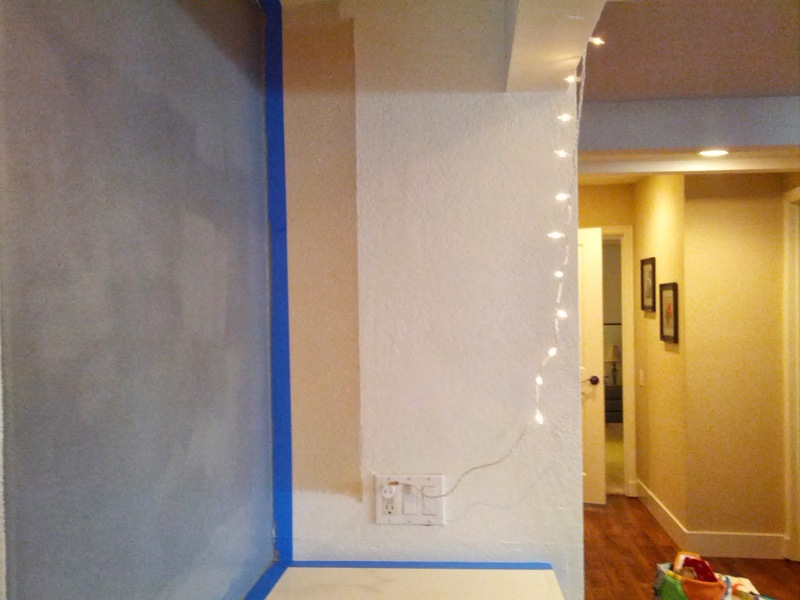 I bought some white tracks, brackets, and shelves at Home Depot (they'll cut the shelves to the right size for you). A quick wipe down and some book stacking later, I had some completed shelves! 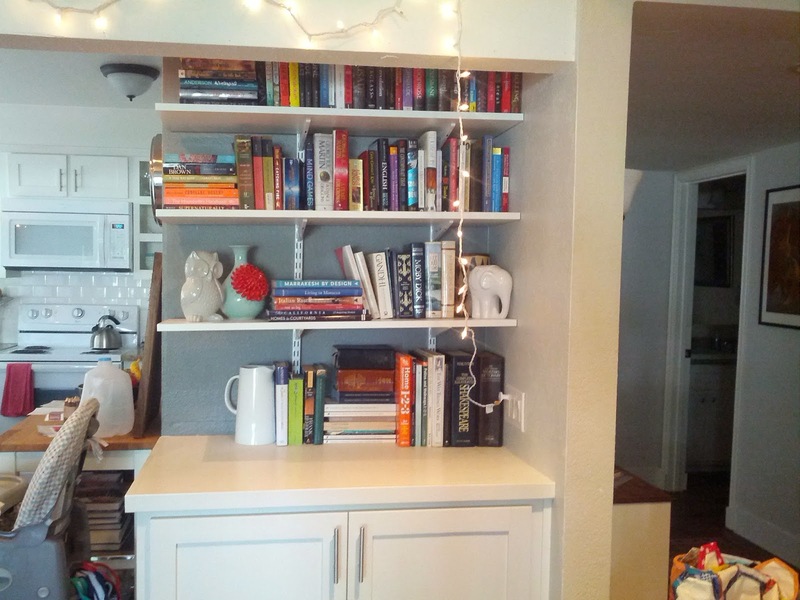 It was actually a relatively simple (and inexpensive) project, and I think it looks so much more open than the old wall-mounted bookshelf. 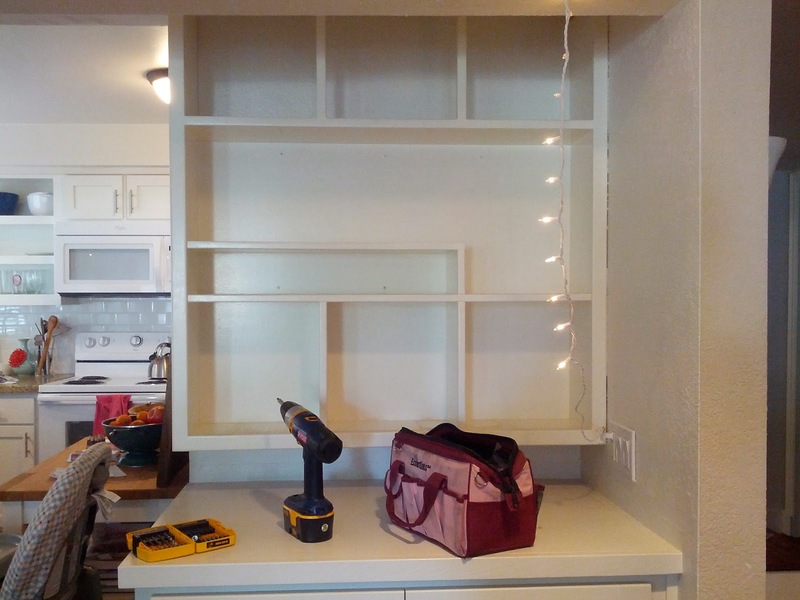 The straight, uninterrupted shelves are way more efficient - I couldn't have fit everything on the old one. An added bonus of the wall tracks is that you can adjust the height of each shelf whenever you want. I love the way it looks! This is Project 6 in my 25 Projects challenge. 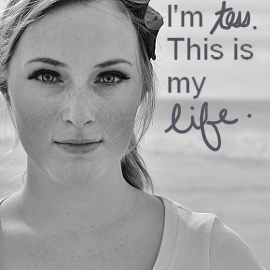 I am attempting to complete 25 projects this year. 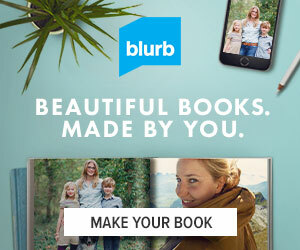 Contact me if you are interested in sponsoring one of the projects or featuring an item on the blog Craft supplies, handmade items, and home decor are encouraged.